Native Pride examines the daily experiences of Indigenous youth in an urban, public high school in the Southwest. Drawing on critical educational studies, the author investigates how power operates in curriculum, extracurricular activities, and daily interactions. The issues raised by the students are examined within the context of this history of colonisation in the Southwest and contemporary racial and cultural tensions in the city. 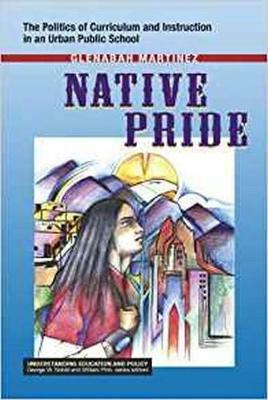 The book explores: colonisation, resistance and schooling from the perspective on Indigenous youth; Indigenous youth constructions of the educated Native person; Indigenous youth perspectives of diversity in a school where unequal or ""nonsynchronous"" power relations prevail; and cultural integrity and high school in an urban setting.